When an artist who animates with drawings looks to reference for stylization techniques, he might look to modern UPA style cartoons. 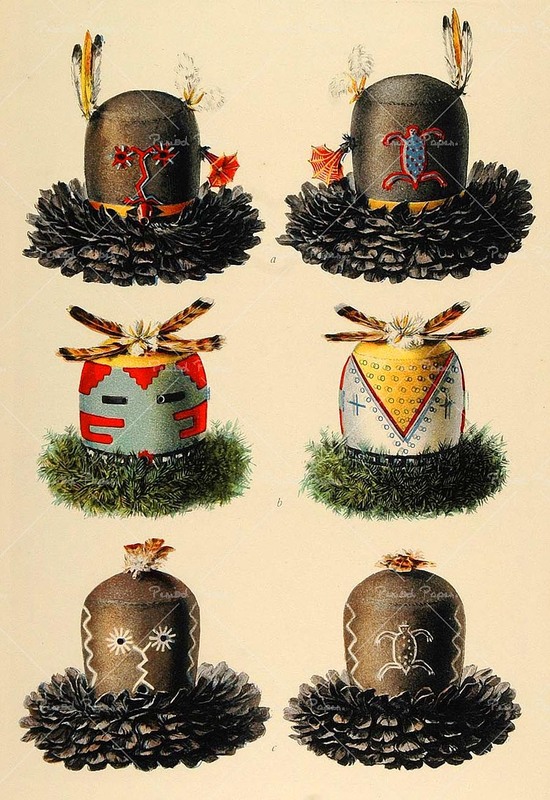 These can often give him ideas for interesting shapes or ways of handling the line. But these sorts of flat designs aren’t much help to a puppet or CGI animator, because 3D characters need to be volumetric so they can inhabit three dimensional space. A flat UPA character won’t translate. So where does a CGI or puppet character designer look for ideas about stylization? 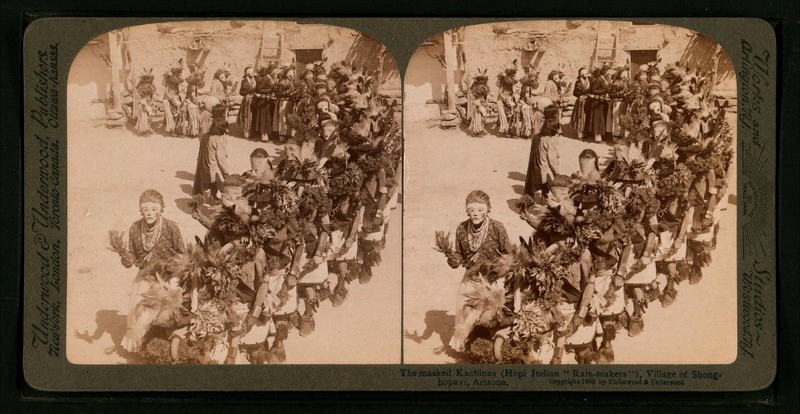 Click to see in 3D! 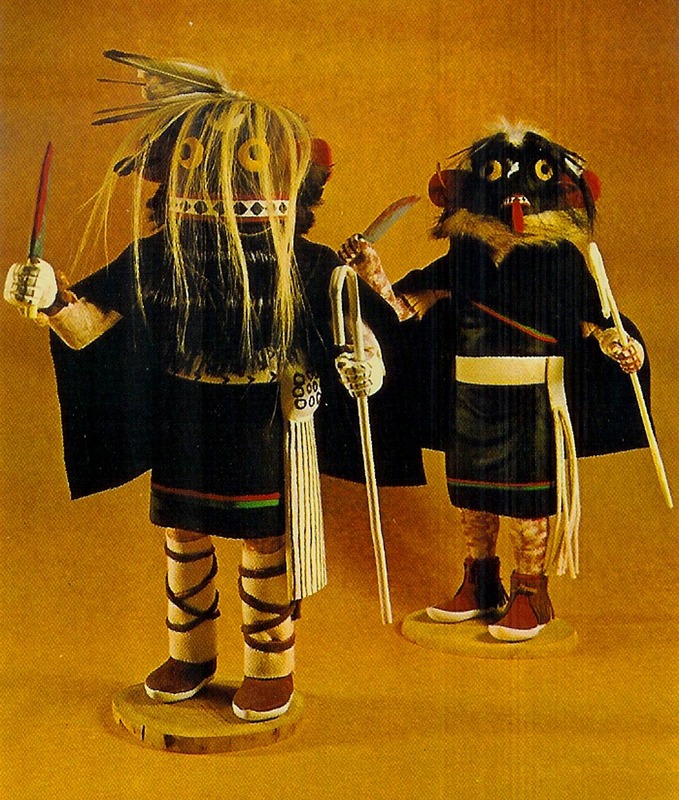 Kachinas are very important spiritual symbols to the Hopi and Zuni tribes in North Eastern Arizona. 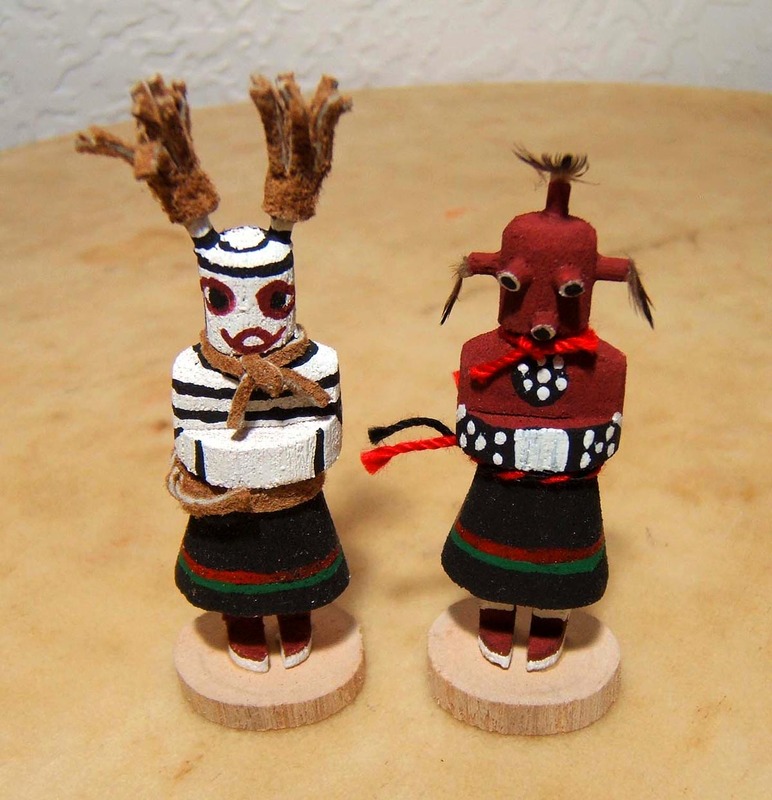 They represent natural life forces that are able to provide protection, fertility or healing. 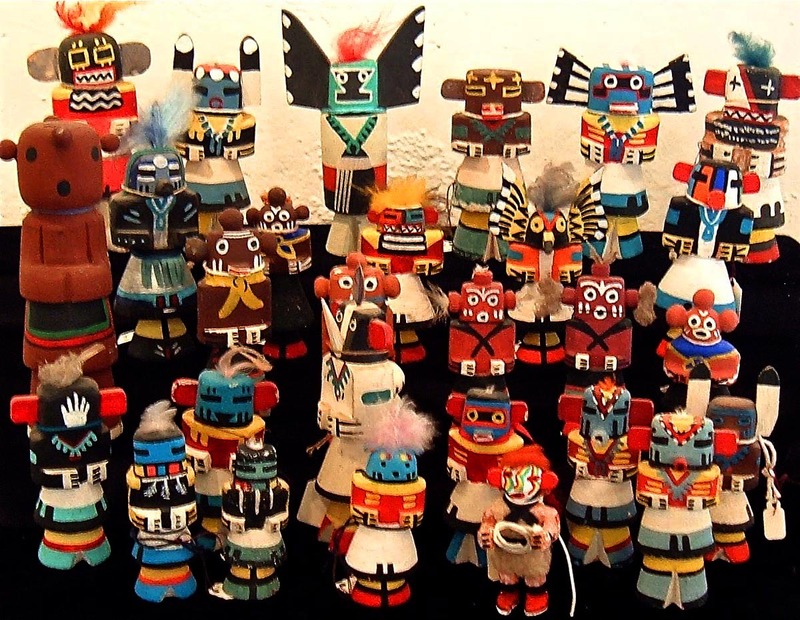 There are hundreds of different Kachinas in the Hopi culture, each one with a specific personality and representational meaning. 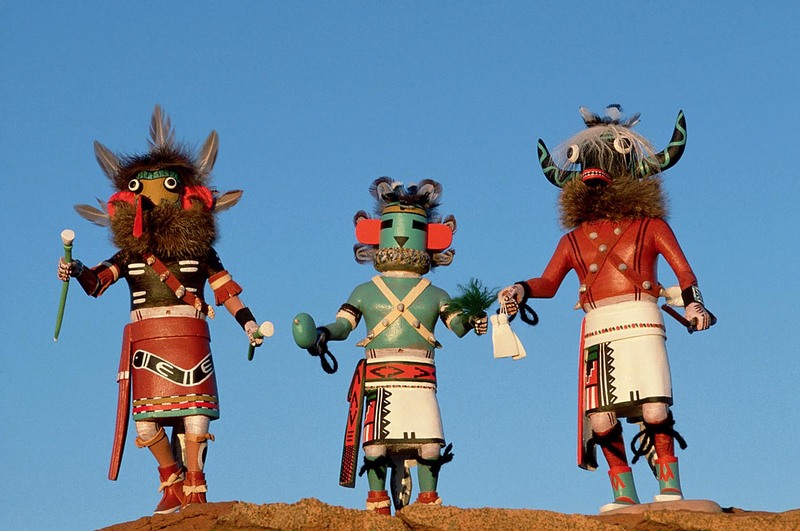 The Kachinas aren’t thought of as gods, but rather as a shadow society, with family relationships and lives of their own. 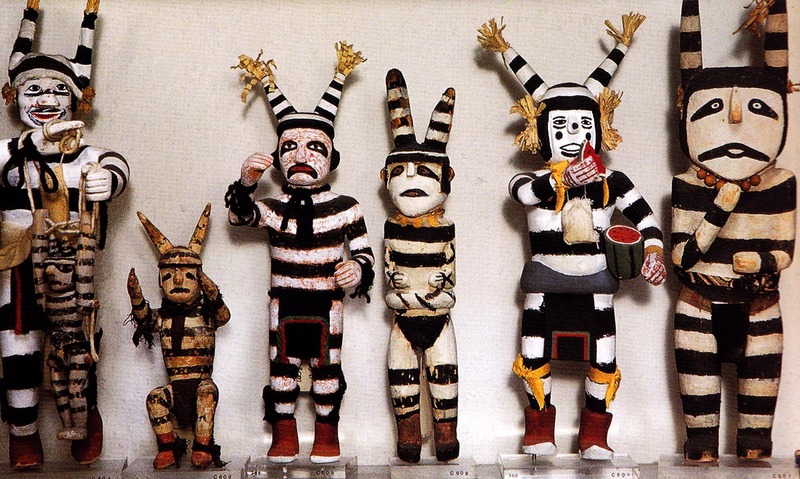 There are Kachinas that embody the wind, the sun, stars, thunderstorms, birds, animals and even ideas, like motherhood or fertility. 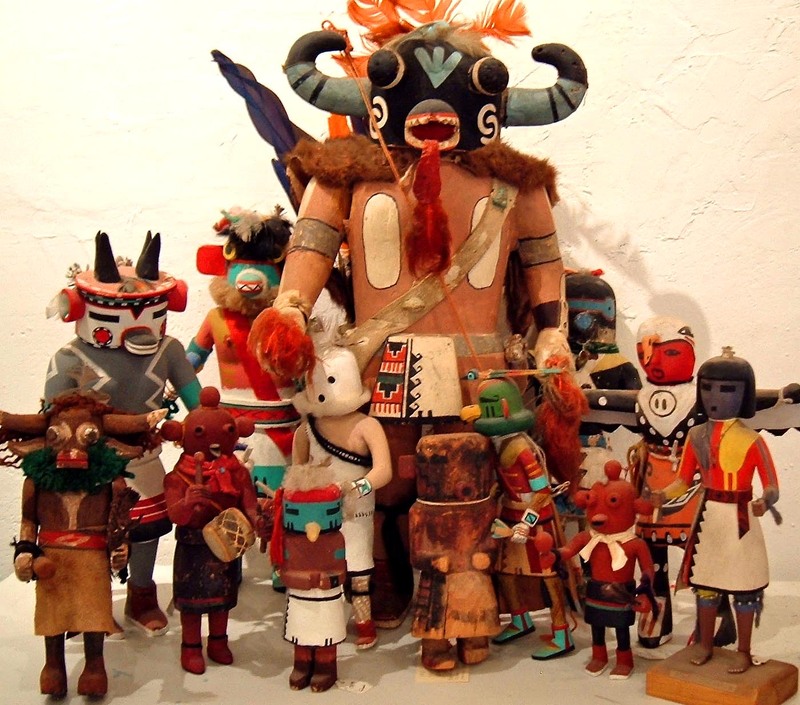 The most important Kachinas are referred to by the Hopi as Wuya. 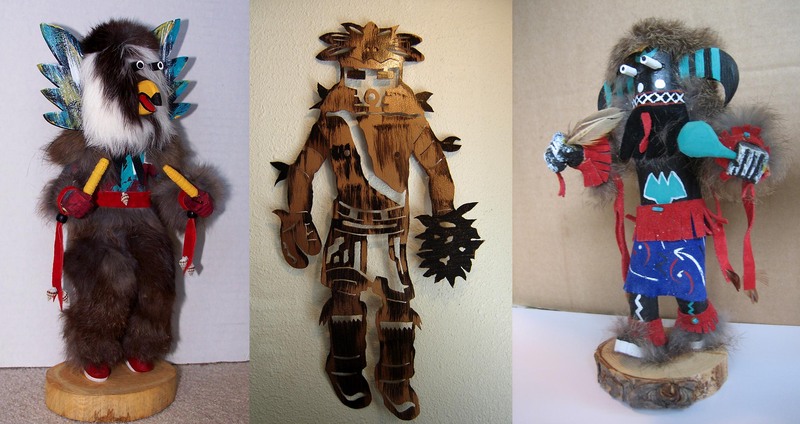 The Navajo tribe didn’t have Kachinas in their culture, but the proximity of the Hopi and Navajo reservations created a sharing of ideas, and now many Navajos carve Kachina dolls too. 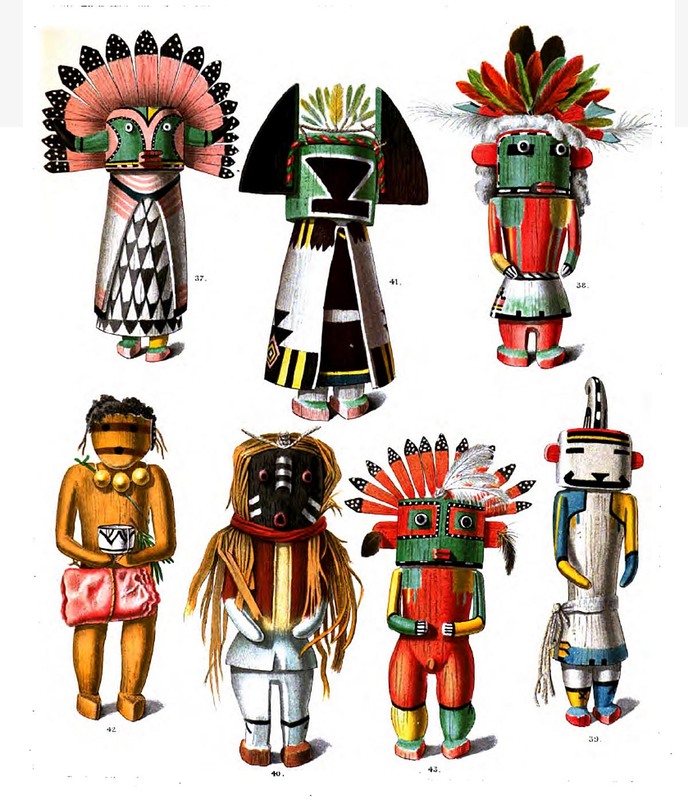 The word “Kachina” can be used in several contexts… It can be used for the characters representing natural spirit powers, the costumed dancers at the festivals, the dolls given as gifts to the children, or to describe the crude souvenir dolls sold to tourists. 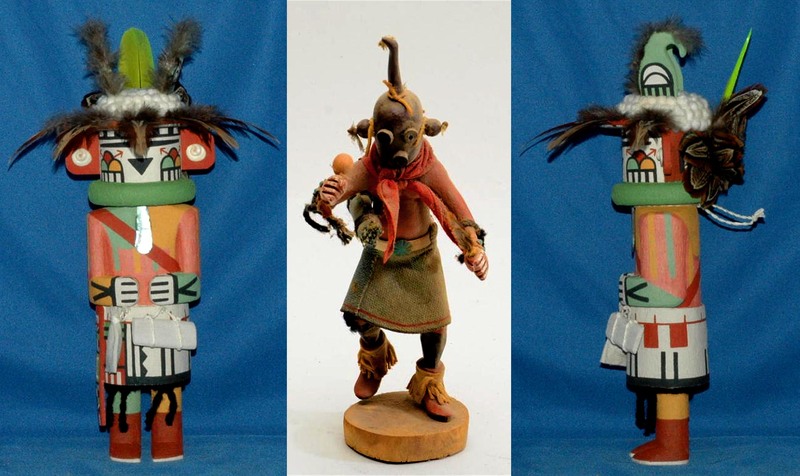 The simplest way to tell a souvenir Kachina doll from one given to the Hopi children is to look on the feet for a signature. 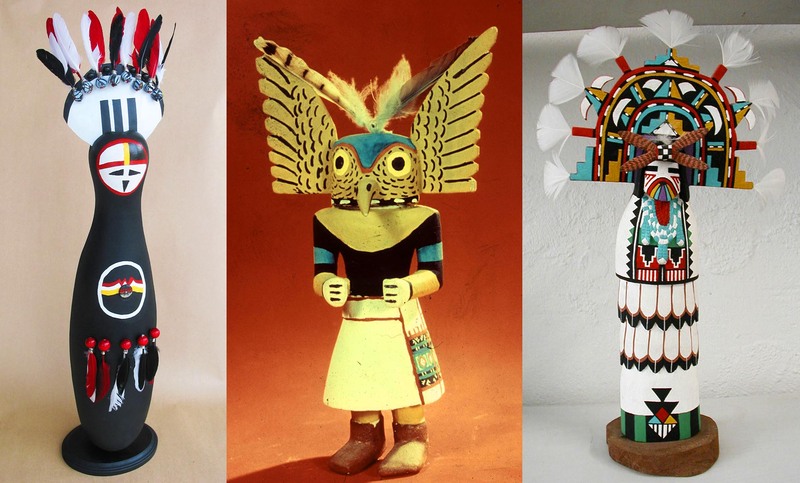 Tourist Kachinas are almost always signed and have the name of the Kachina. 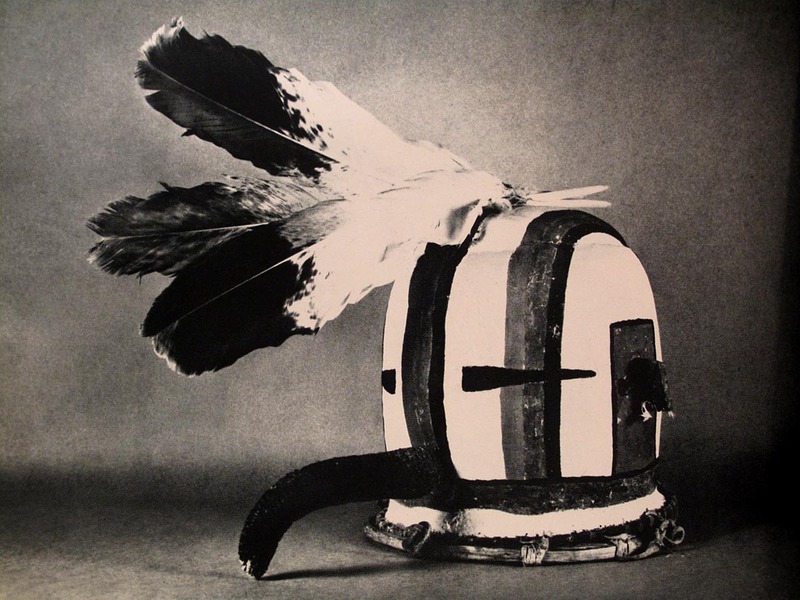 Ones given by the Kachina to the Hopi children is never signed, because the children are told that the Kachinas themselves made it for them. 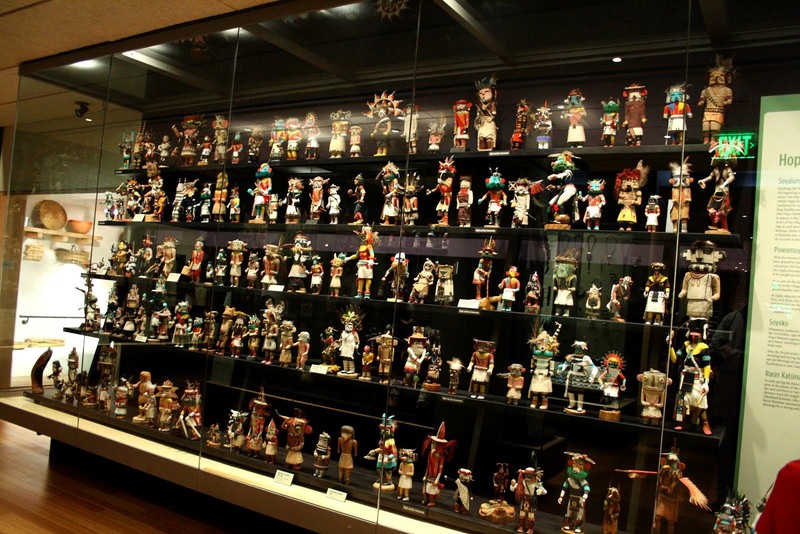 Senator Barry Goldwater had the world’s most significant collection of antique Kachina Dolls, which he willed to the Heard Museum in Phoenix, Arizona. 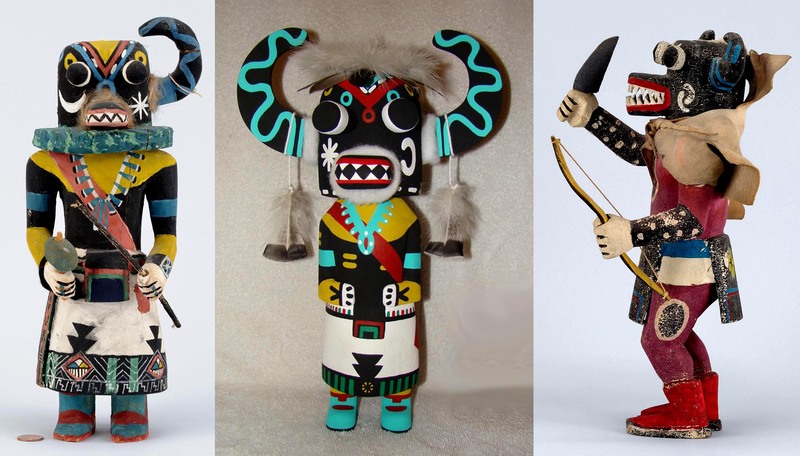 The collection illustrates the progression that Kachina design went through from the 1890s all the way through the 1950s. 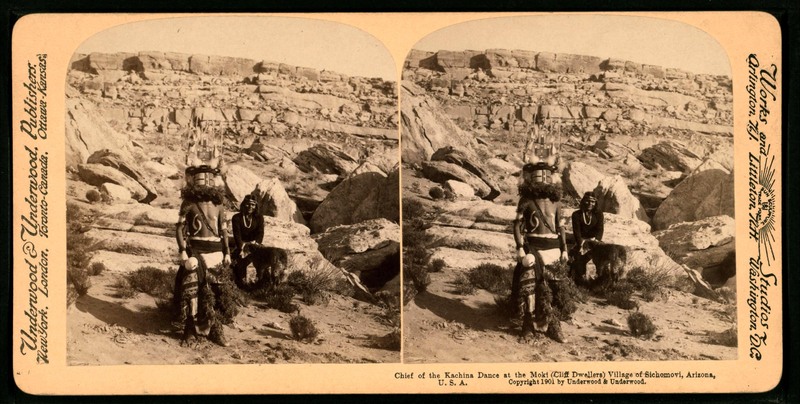 If you are ever in the area, it’s well worth a visit. 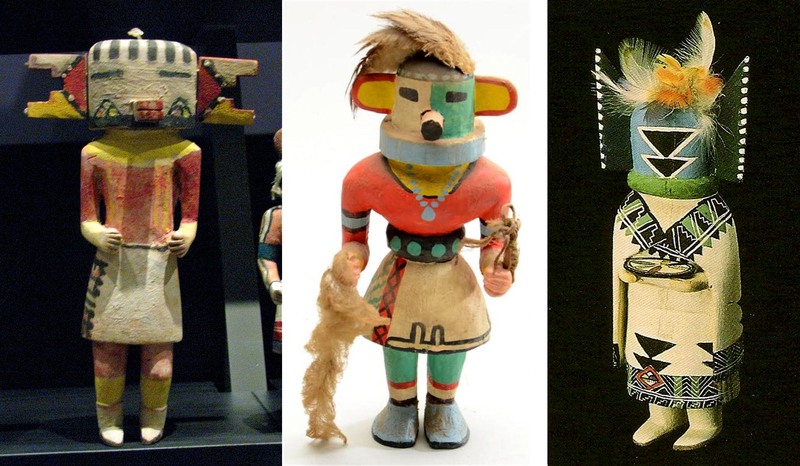 As you look through this gallery of Kachina dolls, take note of the wild stylization and the variations on a single character. 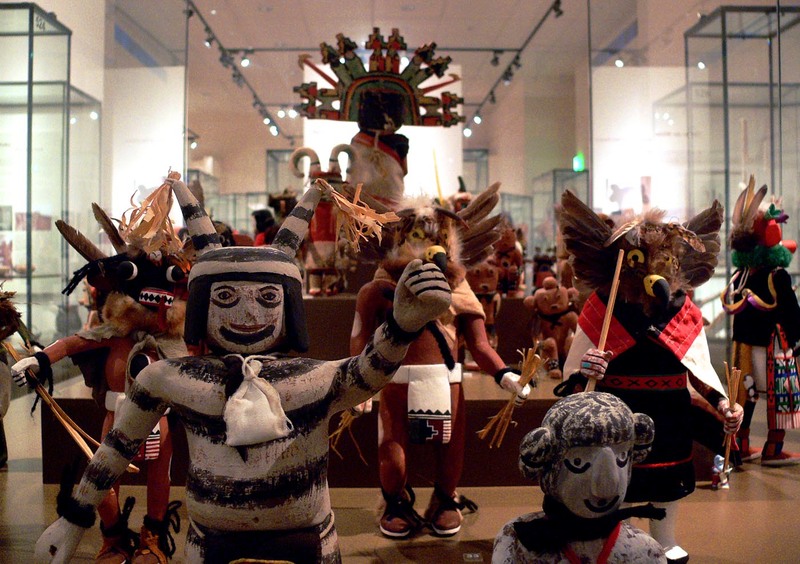 Each Hopi artist has his or her own style and approach to carving the dolls and the designs have changed radically over the past century. 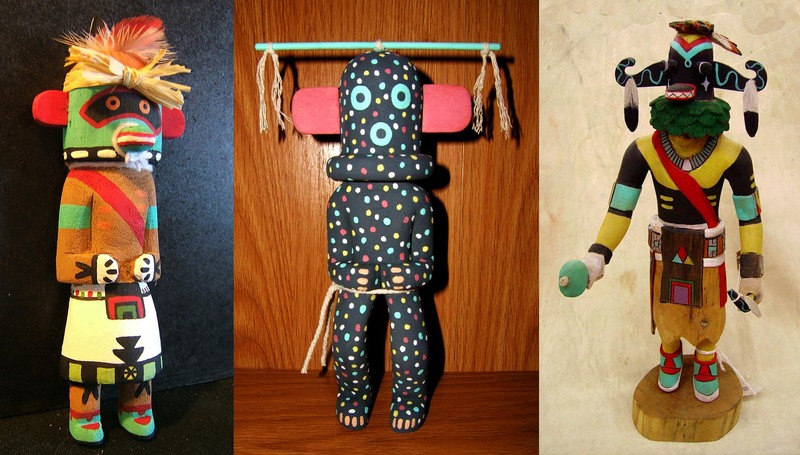 Earlier examples are more like outer space creatures, while more recent ones have more realistic human proportions. It’s easy to get stuck in a stylistic rut, designing characters that look just like other character designs. Instead, step outside of the box for inspiration and you’ll find that the possibilities in design for animation are limitless… and a lot of fun too! 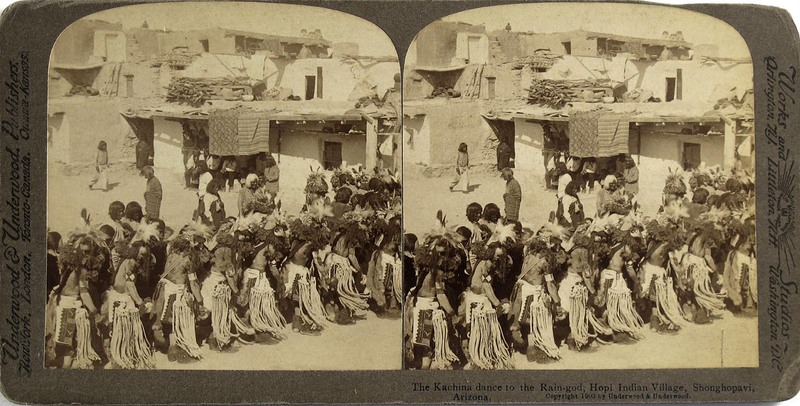 This entry was posted on Thursday, August 3rd, 2017 at 12:36 PM	and is filed under 3D, cgi, kachina dolls, puppet, stop motion.